1. Open Control Panel and click on the System and Security category. 2. On the System and Security page, click on the System Link. 3. 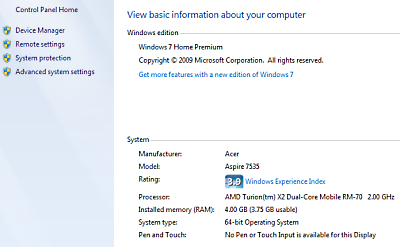 On the "View information about your computer" page, in the System section, next to System type: 32 bit or 64 bit Operating System will appear.